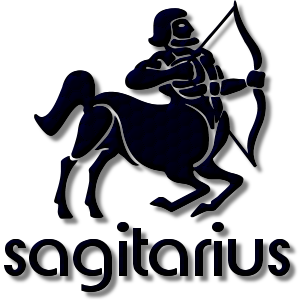 Add a Sagittarius The Archer Zodiac stampette to your Facebook and Twitter profile images and show your star sign. In Greek mythology Sagittarius is a half human and half horse creature known as The Centaur. The Centaur is also Chiron, son of Philyra and Saturn, changed himself into a horse to escape his jealous wife, Rhea. Eventually he was immortalised as the constellation of Centaurus or Sagittarius.